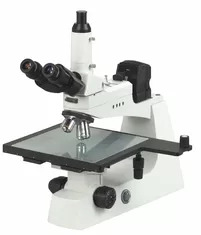 Our metallurgical microscopes are available in binocular and trinocular models with both upright,inverted and boom stand microscope systems, while NCM-J1600 series metallurgical microscope features it's big stage with extra large moving range 250×250mm, which is widely used in IT Industry for large area integrate circuit, wafer observation and Inspection. It's excellent optical quality with infinite optical system, extra wide field eyepiece EW10X/ 22 and LWD high magnification objective(40X/ WD3.7mm) give you sharp image and convenient your operation. 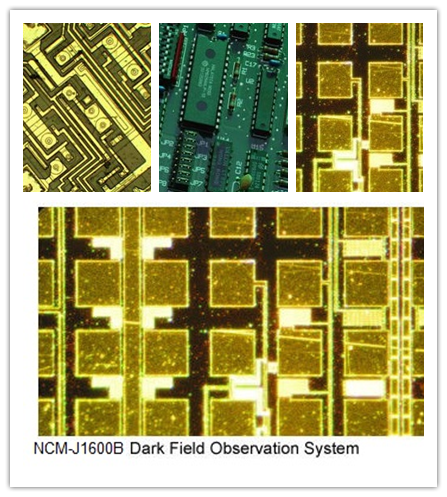 All metallurgical microscopes have the options to add a microscopy camera and software for capturing images and making measurements.